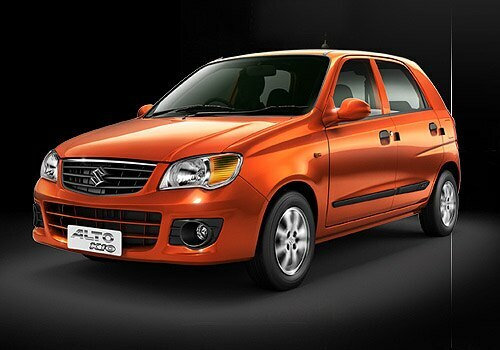 Maruti Cars in India: Chevrolet Spark Vs Maruti Alto K10 Clash of the Two Perfectionists? Chevrolet Spark Vs Maruti Alto K10 Clash of the Two Perfectionists? This comparison is of the two most prominent competitors in the Hatchback segment namely Maruti Alto K10 and Chevrolet Spark. Both these Petrol Hatchback cars are very popular in the country and are generating remarkable sales for their companies. Chevrolet India also offers this Chevrolet Spark in an LPG variant as well, whereas Maruti Alto K10 is only available in petrol variant. Maruti Cars are known for their trustworthiness and consistent performance since many years, while Chevrolet cars are also feature packed and fuel efficient in their own way. 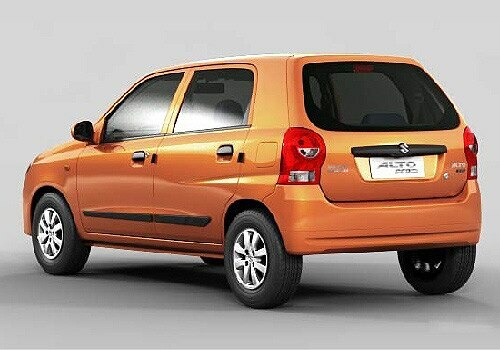 To begin with, let’s talk about the price factor, Chevrolet Spark as well as the Maruti Alto K10 Price is similar and both these hatchbacks are priced at Rs. 3.14 lakh (ex-showroom New Delhi) for the base variant. The dimensions are a tad different with Maruti Alto K10 being spacious with better length, width and height, but Chevrolet Spark has better ground clearance, though it is a tad smaller than its counterpart. The outsides of both these cars are smooth and lustrous, at the same time Maruti Alto K10 with its new facelift is looking a little refreshing than the aging Chevrolet Spark. But then again, Chevrolet Spark has quite a few features like alloy wheels, rear spoiler and roof rails, which are missing in its competitor. The insides of these cars have comparable features, but Chevrolet Spark has a few things like rear windows, rear wiper, defogger and a spoiler as well, which are absent in its competitor. But at the same time, Maruti Alto K10 has a powerful AC, key-off reminder, a new tachometer and also a new amber colored illumination in the instrument cluster. Another glaring difference is the music system, Chevrolet Spark come integrated with an MP3 player with speakers and antenna, while this is not available in the Maruti Alto K10. The engines of these two hatchback cars are also somewhat identical with Maruti Alto K10 being equipped with a new K10 series petrol engine, which is compliant with the BS-IV emission regulations. This peppy engine can displace 998cc, has a good pickup and can take this car from 0-100 Kmph in just about 13.3 seconds and can generate a peak power of 68 Ps and 90 Nm of torque. This engine is mated with a 5-speed manual gearbox and is said to give an impressive mileage of 20.2 Kmpl. Whereas Chevrolet Spark has a 995cc engine that has many advance features such as MPFI, DDLI, MTIS and other optical sensors, which aid in higher engine performance. This engine can churn out 63 Bhp of power output and 90.3 Nm of torque and is mated with a similar 5-Speed manual transmission as of its competitor. This car generates a mileage of 16.9 Kmpl as stated in a few Chevrolet Spark Reviews. Overall, it is a little difficult to pick any one of these amazing cars as the engine of Maruti Alto K10 might be better and efficient in mileage. But at the same time, Chevrolet Spark has more convenient features. The final verdict rests on the buyers as they are the best judges of what they want in their car. The people who would like to own a spacious car with a lively engine can go with the Maruti Alto K10 and those who want a more feature packed car can take the Chevrolet Spark. Meanwhile, Indian car market is going to be flooded with several new launches this year. The list includes Tata Safari Storme, Renault Duster, Audi Q3, Premier Rio Diesel, New Chevrolet Captiva, New Hyundai Elantra, BMW 3 Series and Volkswagen Jetta petrol, which are going to be launched in the coming weeks. I shared that 2012 Chevrolet Cruze to Foray into the Market Soon and Tata Safari Storme Launch to Heat up Competition in the SUV Segment.